JOHN F HUNT POWER – THE PAST, PRESENT AND FUTURE! John F Hunt Power was formed in 1998 to serve the Construction, Event & Utilities market, offering nationwide coverage for the hire, sale & installation of fuel efficient ultra-quiet diesel generators, hybrid generators and LED lighting towers. Continued investment ensures that we offer the most up to date fleet of Power Generating Equipment available in the industry. Our environmental focus is on fuel economy, minimizing emissions & maximizing acoustic performance, all in accordance with our overall commitment to the ISO 14001 Accreditation. 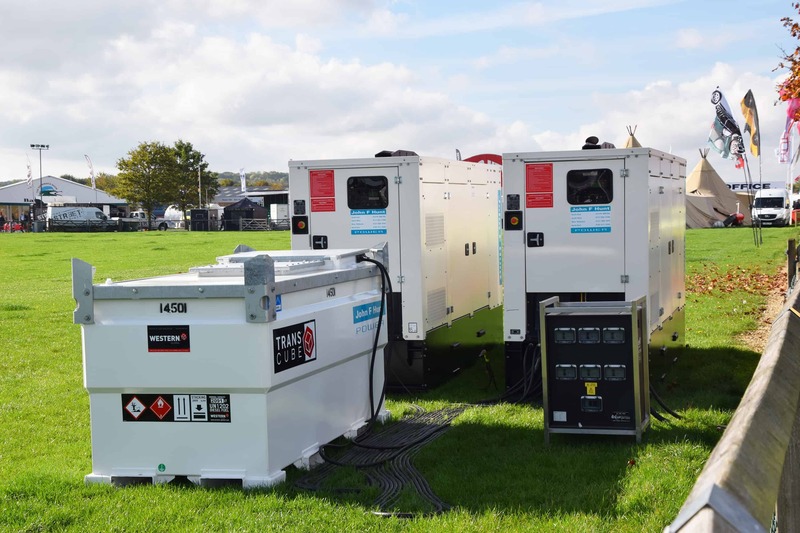 For events such as major festivals, arena concerts, sporting events and national celebrations (the recent Royal Wedding for example) we can provide dedicated on-site maintenance engineers to provide immediate response with power generators in case of an emergency. 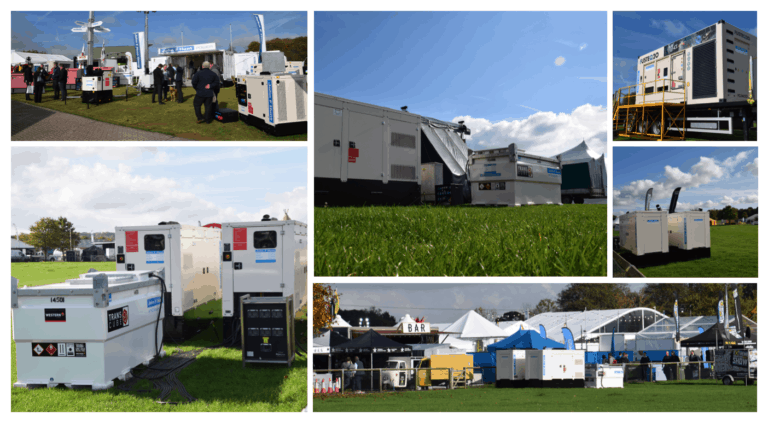 We can also manage all the fuel requirements during events ensuring a smooth, uninterrupted power supply. 2018 marked our first participation at the Showman’s Show as an exhibitor, although we are proud to say that we have provided power to the show for many years with Excell Electrical, our collaboration making a great team. We provide our services nationally from four depots, soon to be five, with the opening of our new Scottish depot in early 2019! Previous PostTHE GROWTH OF JOHN F HUNT POWERNext PostJOHN F HUNT POWER GROWTH IN THE NORTH EAST DEMANDS BIGGER SITE!